During a dramatic press conference on Saturday morning, Aurora Deputy Police Chief Keefe Jackson described in painstaking detail what happened as officers responded to Friday’s fatal shooting at a local industrial complex. In that shooting, five people were killed, and the gunman was killed in an exchange of gunfire with authorities. Five Aurora police officers were also wounded in the shooting, but all are expected to recover, and their injuries are not life-threatening. 1:24 p.m. Calls began to come into 911 dispatchers of shots fired. Multiple calls of an active shooter were received, and gunfire was heard in the background on at least one of the calls. 1:28 p.m. Officers arrived on the scene. The determination was quickly made to activate Aurora’s special response team. 1:30 p.m. Dispatchers received their first report of an officer being shot. 1:31 p.m. In quick succession, dispatchers received word of four shooting victims on one floor of the building. In a separate transmission, a fifth victim was identified on another floor of the complex. 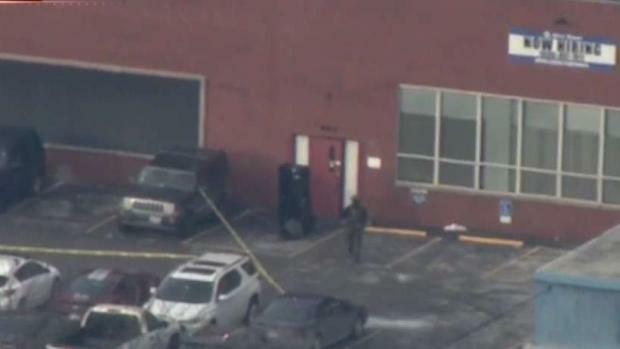 1:31 p.m. An armored vehicle arrives on the scene to get officers close to the building, and to provide cover as teams began to enter the building. 1:32 p.m. Police received another call of shots fired. 1:32 p.m. A second officer is reported to have been shot inside of the building. 1:33 p.m. More shots fired calls received, and officers also indicate that they have begun firing their weapons. 1:34 p.m. A third officer is reported to have been shot inside of the building. 1:35 p.m. A fourth officer is reported as hit. 1:35 p.m.-1:52 p.m. In this window, the officers hit by gunfire are evacuated from the scene. At the same time, a separate operation began to evacuate employees from the warehouse. 1:52 p.m.-2:58 p.m. In this window, no contact was made with the offender as police search the building for the gunman. 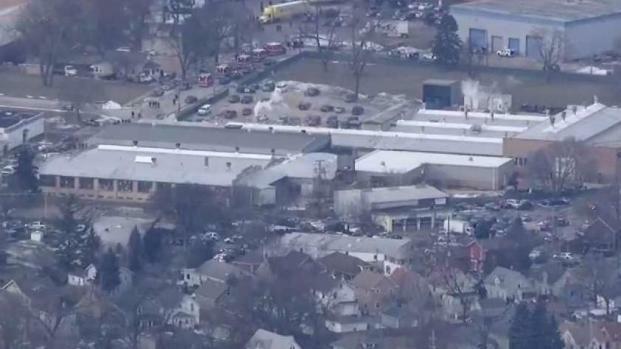 2:58 p.m. Officers reported to dispatchers that they had located the gunman in a machine shop near the back of the building. 2:59 p.m. Officers reported that the suspect had been shot and killed in an exchange of gunfire. NBC 5's Lisa Chavarria kicks off our team coverage of Friday's shooting that left five people dead at an Aurora industrial complex. 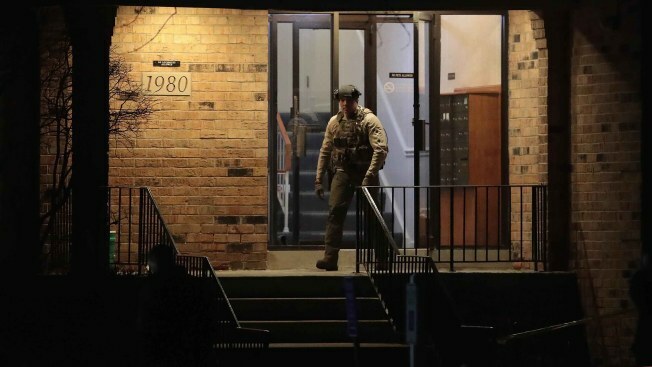 Deputy Chief Jackson said that a total of eight SWAT teams responded to the incident, and between 25 and 35 agencies and police departments send resources in the response. Anywhere from 200 to 300 police officers, agents, and other personnel were in the vicinity as authorities responded to the scene.